Screen Queensland is proud to share Essential Media and Entertainment’s official announcement of the opening of its Brisbane satellite office and the appointments of local staff to spearhead the strategic development of scripted content with Queensland screen practitioners. Essential Media and Entertainment is an important part of Screen Queensland’s Enterprise Queensland Program, a program offering a suite of programs that will focus on the creation of original IP through high-level writing initiatives and new business development models to extend the capacities of our local screen industry. Brisbane, Australia. 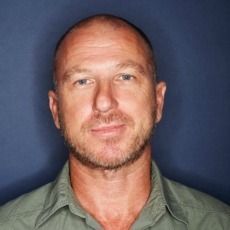 February 25, 2015: As part of the recently launched Screen Queensland Enterprise Program, independent production company Essential Media and Entertainment has opened its Brisbane satellite office and announced the appointments of local staff to spearhead the strategic development of scripted content with Queensland screen practitioners. Award winning scripted entertainment writer Roger Monk has been appointed the company’s Queensland based scripted Development Producer. Monk’s extensive experience covers drama, comedy, action and romantic comedy genres in both feature and television, with writing credits including the teenage live action drama series Nowhere Boys, adult crime drama The Doctor Blake Mysteries, and drama comedy East Of Everything. He won the AFI and FCCA ‘Best Script’ Awards for his 2002 screenplay, Walking on Water. In close collaboration with Essential Media’s Ian Collie (Rake, Saving Mr Banks, Jack Irish) and Carmel Travers (Bubble Bath Bay, The Magic Pudding), Monk’s role is to source Queensland-originated stories and storytellers (across film, TV, theatre, print), to develop and foster existing relationships with Queensland practitioners as well as offer a conduit to emerging talent within the Queensland production sector. Essential Media Queensland will assist with the ongoing development of Queensland writers by offering mentorships with leading scripted development and production talent and support a yearly internship program. Details of the internship program will be announced in March. Already, Essential Media is co-developing a teen comedy drama series set in Queensland called Camp Crazy with Carbon Media. The 26 x 24’ live action series follows the adventures of six misfit teens as unlikely heroes, thrown together in a remote destination to solve the ultimate mystery. It’s a journey of discovery that blurs reality, mythology and time. “Our Enterprise Queensland Program is a new initiative designed to support the expansion of Queensland companies and build a strong base of producers developing local stories,” said Screen Queensland CEO Tracey Vieira. “Essential Media’s new team and Queensland office will help unearth and develop local talent and with their track record and existing relationships with broadcasters, this is a way to help invigorate local production and stories. Essential Media and Entertainment is one of Australia’s leading independent production companies with a proven track record in high quality screen and digital content for both local and international audiences. Based in Sydney, with offices in Melbourne, Brisbane, Los Angeles and Toronto, Essential is currently producing feature films, television drama, factual series, lifestyle programming and animation. Chris Hilton leads the company as CEO, with Ian Collie as head of scripted, Alan Erson as head of unscripted and Carmel Travers as head of children’s entertainment. Essential also produces factual entertainment in Los Angeles and Toronto through its joint ventures Essential 11 Television. Essential is represented by United Talent Agency in the USA.